Mix all bottle contents in one quart of distilled water and store in cool dry place away from light. Ingredients: Potassium gluconate, potassium acetate, monopotassium phosphate in equal parts. 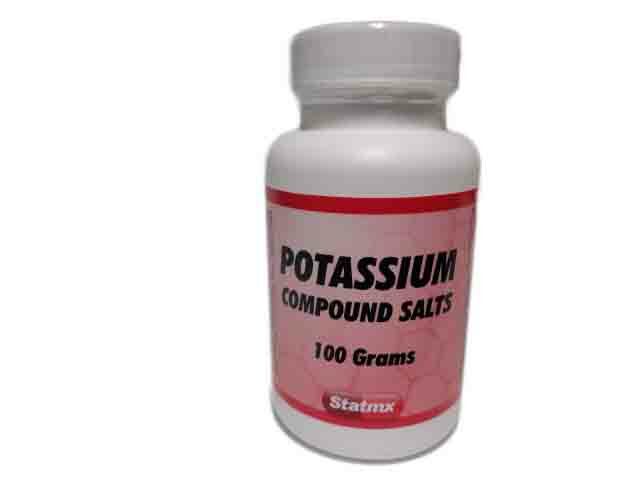 Each teaspoon of prepared solution will provide approximately 150 mg or 3.82 mEq of potassium.